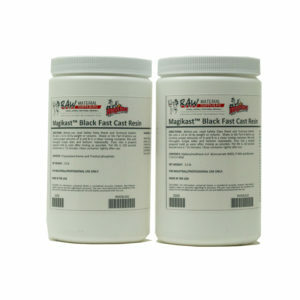 Magikast Fast Casting Resin™ from Raw Material Suppliers is thin-as-water, low-cost, “fast cast” urethane casting resin. 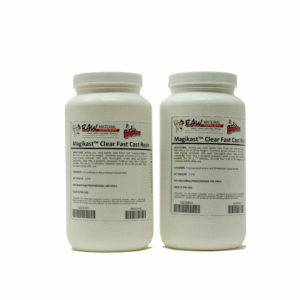 Our Magikasts™ are thin & easy to use with a 1:1 mix ratio. 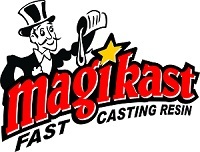 Magikast™ turns from an amber liquid to a white plastic in 90 seconds, with Magikast™ 90S, 3 minutes, with Magikast™ 180S, or 5 minutes, with Magikast™ 300s. 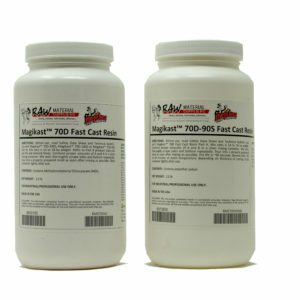 Magikast™ offers a fast de-mold depending on wall thickness (thin walls take longer). 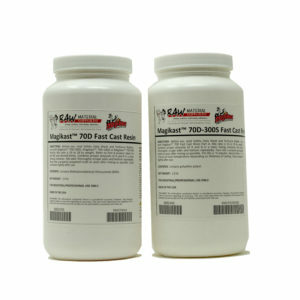 Made to our exacting specifications Magikast™ urethane casting resin gets the job done when you need it. We have added more elongation delivering durable solid parts with excellent impact resistance. Low viscosity for minimal bubble entrapment. Striking colors are possible by adding color pigments and it’s easily paintable. 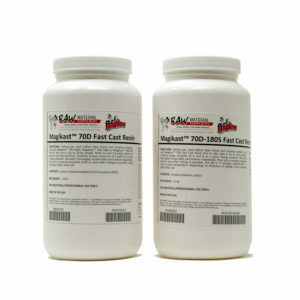 Great for pouring in place and Magikast™ 180S is often used for roto casting!